Miriam Escofet, a graduate of 3D Design and Craft, was presented with the award and £25,000 prize at the National Portrait Gallery in London. The artist’s winning painting – a surrealist portrait depicting her mother drinking tea in her kitchen – is entitled An Angel At My Table. It won plaudits from the judging panel for its “constraint and intimacy” and “surreal quality”. Sam Davies, the University’s Director Of Philanthropy and Alumni Engagement, said: “Congratulations to Miriam and we hope we will be able to welcome her back to the campus in due course. Miriam moved to the UK from her birthplace Barcelona as a 12 year-old. After graduating from the Brighton School Of Art in 1990 she turned her hand to painting. An Angel At My Table will be on display at the National Portrait Gallery in London from Thursday before it goes on tour around the UK. 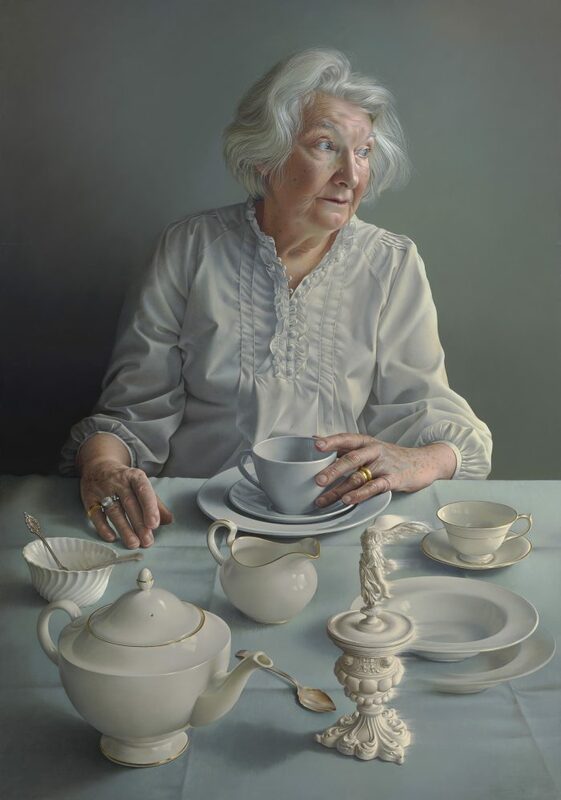 This entry was posted in Alumni, Design and craft, Fine Art, What's on and tagged BP Portrait Award, Miriam Escofet, national portrait gallery.